Poster and trailer added for upcoming live-action film “Love and Lies” starring Aoi Morikawa, Takumi Kitamura & Kanta Sato. 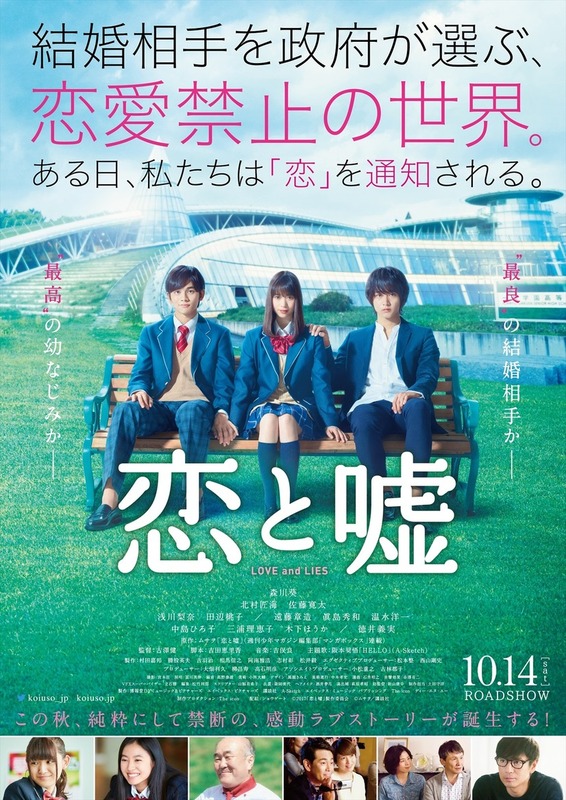 Movie is based on manga “Koi to Uso” by Musawo and directed by Takeshi Furusawa. Story for the film is set in the near future where the Japanese government implements a program to increase the country’s birth rate by assigning marriage partners to teens who turn 16. A high school student played by Aoi Morikawa is selected to marry high school student played by Kanta Sato, but she has feelings for her childhood friend played by Takumi Kitamura. The main trailer features theme song “Hello” by singer-songwriter Shogo Sakamoto. The song is a cover tune originally released by Masaharu Fukuyama in 1995. 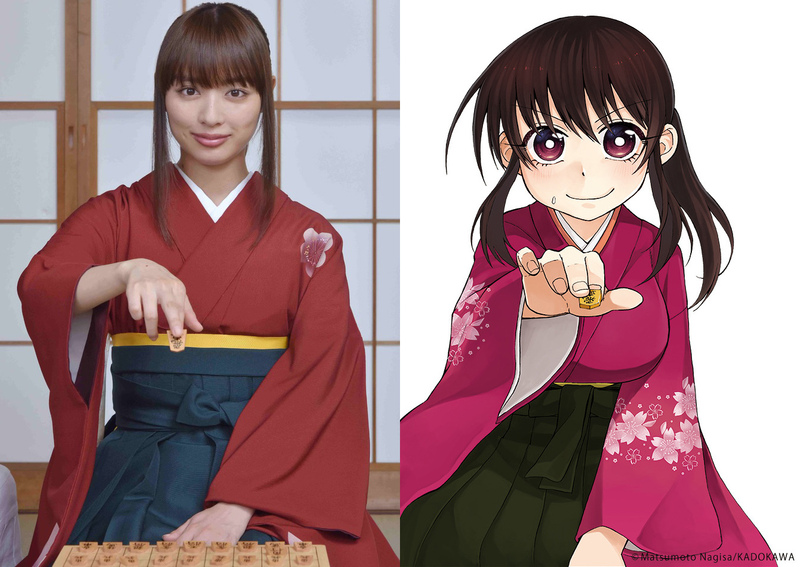 Rio Uchida is cast in upcoming live-action Fuji TV drama “Meals Shogi Player Loved.” The drama series is based on manga “Shogi Meshi” by Nagisa Matsumoto, with screenplay adaptation handled by Yoriko Kodama. In the drama series, Rio Uchida will play main character Nayuta Toge. She is professional shogi player and her matches usually last for about 10 hours. Nayuta Toge also carefully thinks about what her meals will be during the breaks in her matches. “Meals Shogi Player Loved” streams on FOD (Fuji TV On Demand) beginning July 31, 2017 and airs on Fuji TV beginning August 2, 2017 in Japan. Yuriko Yoshitaka is cast in movie “Criminal for the Prosecution” starring Takuya Kimura and Kazunari Ninomiya. For the film, Yuriko Yoshitaka will play lead female character Saho Tachibana. Her character works for the prosecution administrative office. 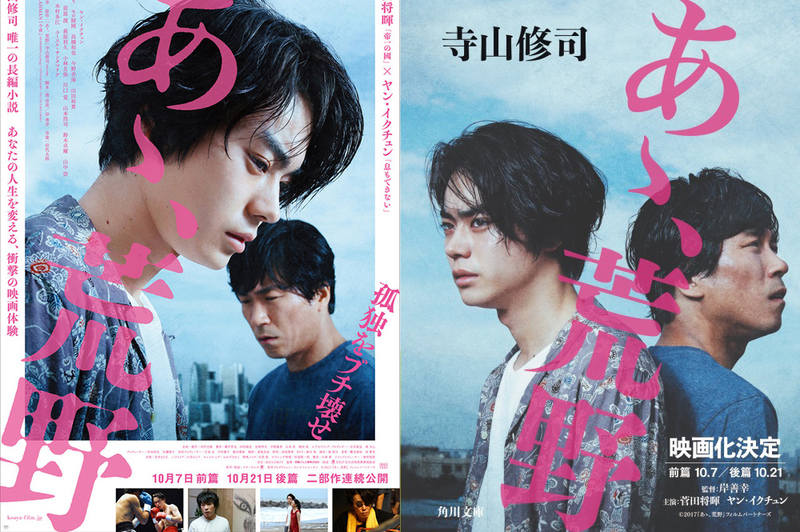 Movie is based on 2013 novel “Kensatsugawa no Zainin” by Shusuke Shizukui and directed by Masato Harada. Sei Ashina, and Hirona Yamazaki. Filming for “Criminal for the Prosecution” began July 12, 2017 and will finish during the early part of September, 2017. Anne Suzuki is cast for the main character role in movie “Ashita ni Kakeru Hashi 1989nen no Omoide.” Also cast in the film are Misato Tanaka, Itsuji Itao and Akira Takarada and the movie will be directed by Takafumi Ota. Story for “Ashita ni Kakeru Hashi 1989nen no Omoide” has Anne Suzuki playing Miyuki. Her younger sibling died in a car accident in the year 1989 and since the accident her mother became ill and her father drank himself to death. Miyuki believes if she could save her sister from the car accident, her family would be living happily today. Miyuki then travels back in time to the year 1989. Filming for “Ashita ni Kakeru Hashi 1989nen no Omoide” takes place August, 2017 around Shizuoka Prefecture and the movie will be released sometime next year in Japan. “Wilderness: Part One” will be released October 7, 2017 and its sequel “Wilderness: Part Two” will be released October 21, 2017 in Japan. 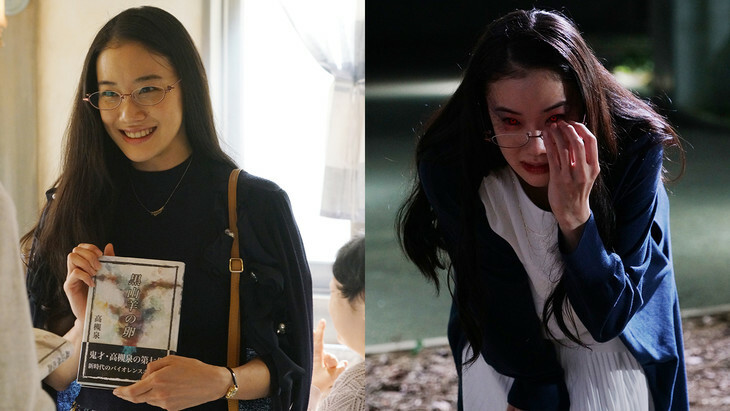 Here’s 2 new still images of Yu Aoi in upcoming live-action film “Tokyo Ghoul” starring Masataka Kubota. The still images shows the extreme sides of Rize Kamishiro (Yu Aoi). The still image on the left is of smart and sweet Rise Kamishiro. She enjoys reading mystery novels by Sen Takatsuki. The still image on the right is of Rise Kamishiro as a ghoul. When she eats humans, her eyes turn red. “Tokyo Ghoul” opens July 29, 2017 in Japan. 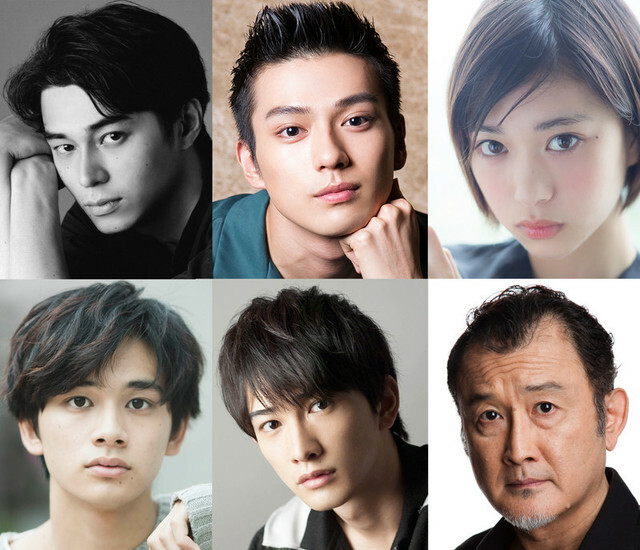 Masahiro Higashide, Mackenyu Arata and Aoi Morikawa are cast in new movie “Over Drive.” In addition, Takumi Kitamura (‘Dish’), Keita Machida andKotaro Yoshida are cast in supporting roles. Screenplay is written by Sayaka Kuwamura and the movie will be directed by Eiichiro Hasumi. Story for “Over Drive” will follow the volatile relationship between two brothers who work in the racing car word. The older brother Atsuhiro Hiyama (Masahiro Higashide) is an engineer for a race car company and the younger brotherNaozumi Hiyama (Mackenyu Arata) is a talented driver for the same company. They constantly fight though over the younger brother’s reckless driving style. Meanwhile, Hikaru Endo (Aoi Morikawa) becomes his manager. “Over Drive” will be released sometime next year in Japan. 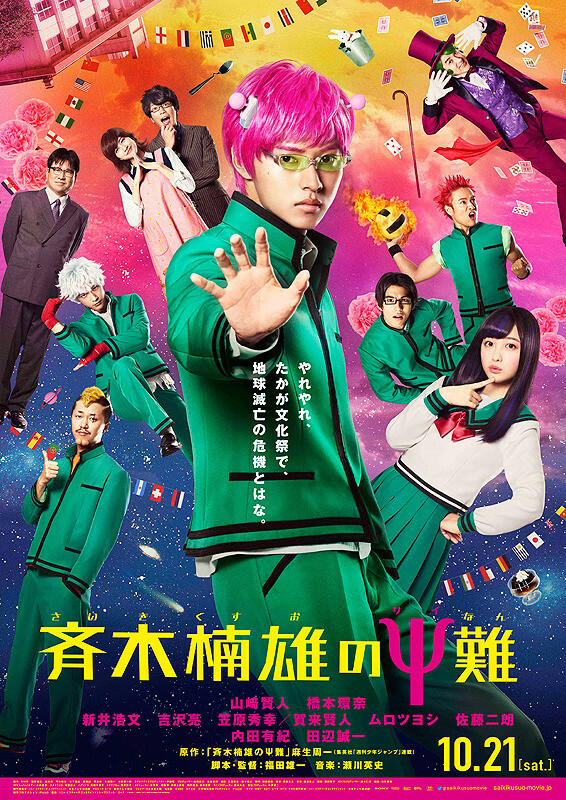 Trailer added for upcoming live-action film “The Disastrous Life of Saiki K” starring Kento Yamazaki & Kanna Hashimoto. Movie is based on manga “Saiki Kusuo no Sainan” by Shuichi Aso and directed by Yuichi Fukuda. The trailer features theme song “Koi, Hajikemashita.” by Yuzu. “The Disastrous Life of Saiki K” opens October 21, 2017. 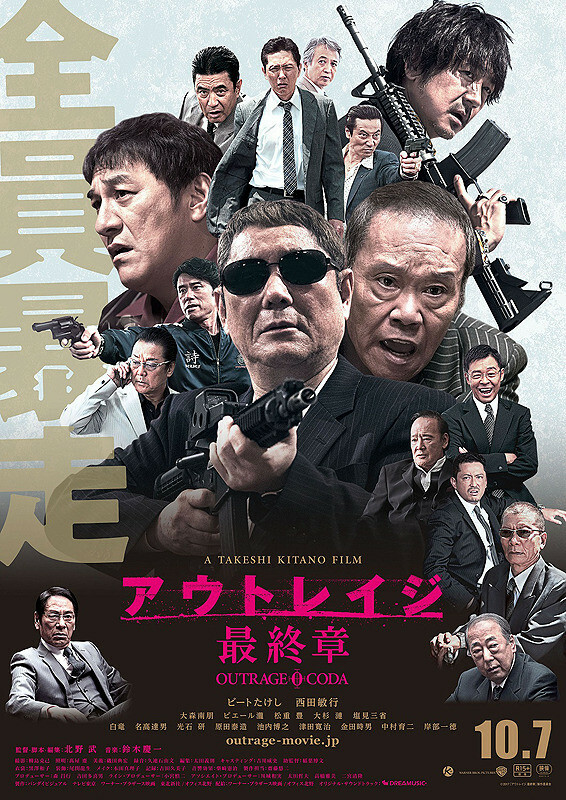 Main trailer and poster added for upcoming movie “Outrage Coda” starring Takeshi Kitano. Movie is the third and final installment in the “Outrage” trilogy. “Outrage Coda” opens October 7, 2017 in Japan. Main trailer added for upcoming live-action film “Fullmetal Alchemist” starring Ryosuke Yamada and Tsubasa Honda. Movie is based on manga series”Hagane no Renkinjutsushi” by Hiromu Arakawa. In addition, here’s 3 character posters for “Fullmetal Alchemist.” The character posters are of (top) Tsubasa Honda and Alphonse, (middle) Ryuta Sato, Misako Renbutsu, Dean Fujioka and (bottom) Kanata Hongo, Yasuko Matsuyuki and Shinji Uchiyama. “Fullmetal Alchemist” will be released December 1, 2017 in Japan.